If you want to impress Richard Dean Anderson, show up at Oz Comic-Con wearing a costume. 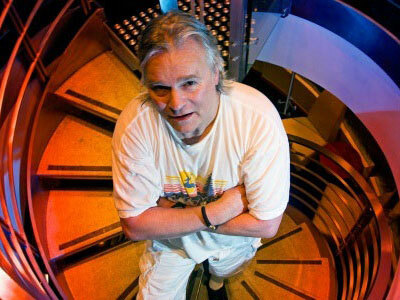 The actor famous for playing two of the most iconic characters on television - MacGyver and Jack O'Neill from Stargate SG-1 - said he always looked forward to events where his fans would dress up. "It's just like a rainbow of caricatures and colours and commitments to costumes, and I love that part of it," he told AAP. Anderson, 63, is visiting Perth for the first time for Oz Comic-Con and says he is looking forward to exploring the city. "I have a tendency to wander aimlessly whenever I have a little bit of time off so that's why I have a handler," he quipped. It's rare enough to create one iconic television character, let alone two, but Anderson said he was pleased to be enshrined in popular culture for both roles. While he didn't quite understand the MacGyver memes, Anderson said he was "fine" with his image being used for jokes as long as they were respectful and not malicious or promoting guns. He also welcomed the term "MacGyverism" being used in every day life. Anderson said the producers of the show at one point even approached Webster's Dictionary about adding the word but missed the deadline by two weeks. He said he never could have thought it would be part of his legacy. "I could never think in those terms," Anderson said. "My daughter doesn't quite understand what the big attraction is. "She's 14 so she's going to question everything I do." Anderson also applauded the "classy" cast of Mythbusters for asking permission to test some MacGyver tricks on their show. "Virtually everything we did (on MacGyver) was do-able," he said. "One time I made a blow torch out of a bicycle and took apart the pipes. "The metal had to burn so the bike was made out of magnesium for some reason. "You don't get bikes made of magnesium." Anderson said the show was conscious of people attempting to recreate MacGyverisms so they always left out one or two ingredients, especially chemicals. That didn't stop one woman in Germany complaining that her son and his friend had burned themselves trying to recreate a scene from the show, but Anderson insisted MacGyver never showed how to properly blow anything up. Anderson said his Stargate fans were even more passionate than his MacGyver fans. "Science fiction is its own little world actually, which is really nice to watch," he said. "I don't consider myself a member, but I'm a contributor. "It binds a lot of people together - this kind of mutual appreciation of science fiction - as long as the sanity level is kept even." Anderson is in Perth this weekend during the state election and it seems Opposition leader Mark McGowan may be a Stargate fan after he walked into a Labor rally this week to the show's theme song. "MacGyver being Scottish and O'Neill being Irish, I think he's (McGowan) really screwed up," Anderson laughed. "He's asking for trouble I think, isn't he?" He may be a television hero for many, but Anderson said he has always been a fan of Homer Simpson, and it was a honour to have guest starred on the show. Anderson says another television hero is Peter Griffin from Family Guy, voiced by Seth MacFarlane, who recently hosted the Academy Awards. Anderson will be joined at Oz Comic-Con by other celebrities including William Shatner, The Rocky Horror Picture Show's Patricia Quinn and stars from hits like Game of Thrones. The event will bring together fans of gaming, comics, television, film, anime and science fiction, and will head to Adelaide and Melbourne later this year. Raphael, Angie. "MacGyver Star Wants to See Fans in Costume." Australian Associated Press. March 8, 2013.